← Win a holiday at Brig-y-don in Llangrannog! Now that the summer is out of the way and we head into autumn, it’s the best time to start planning your walking holiday with your most loved companion! Beach restrictions are lifted at the end of September, the weather is cooler and the area is generally a little quieter, perfect for a last minute break to the coast. If you’re planning on getting away, we’ve got tons of dog-friendly cottages to choose from, and you can book direct with the owner, too – super easy! Ceredigion: Bottlenose dolphins and seals are popular on the coast of Cardigan Bay. The Ceredigion coast path is renowned for its mixture of landscapes to include dramatic high cliffs, sandy bays and many interesting spots along the way such as Borth’s sunken forest. For more information and to plan your route see our guide to walking the Ceredigion coast path. Pembrokeshire: Quite a few walking boots have been worn out over the years since the Pembrokeshire coastal path first opened, and we’re not surprised, it’s absolutely stunning! Many are tempted here every year to experience the dramatic coastline. A wonderful walk discovering some of the diamonds of Pembrokeshire’s treasure chest makes a perfect day out. Use our guide to walking the Pembrokeshire coast path to plan your trip and get prepared. Carmarthenshire: Carmarthenshire has a continuous route all the way along its coast. Popular spots include Dylan Thomas’ Boathouse, near Laugharne and the view of Kidwelly’s medieval castle. There are many glorious and varied beaches along the way, prefect cooling off points for you and your dog! Carmarthenshire Bay is one of the most important conservation areas in Wales. 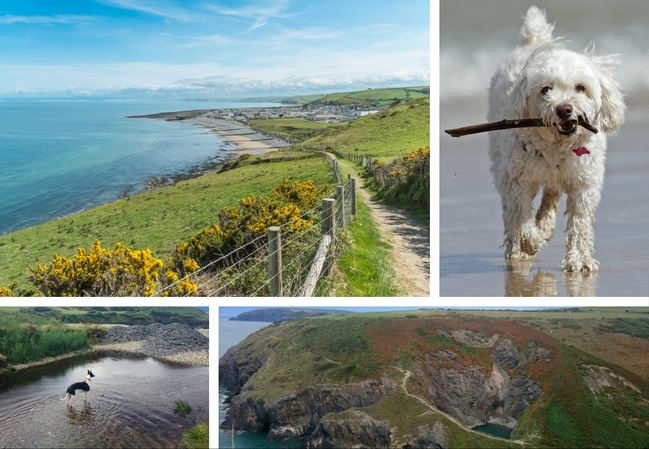 To plan your walk, use our guide to walking the Carmarthenshire coast path. 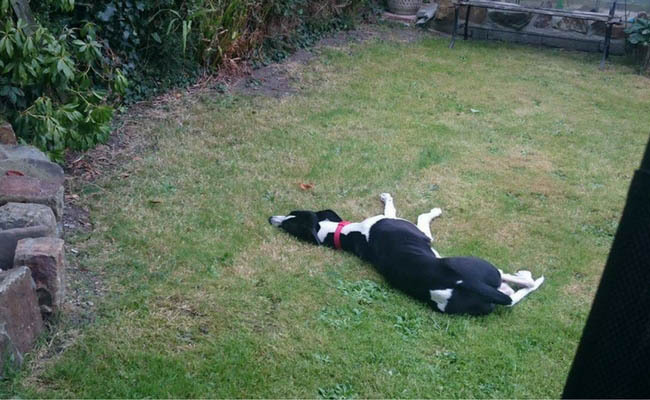 Whichever West Wales county you choose to base yourself in for your walking holiday with your dog, we’re 99% certain this is how he or she will appear at the end of your stay! Most of all, have fun! 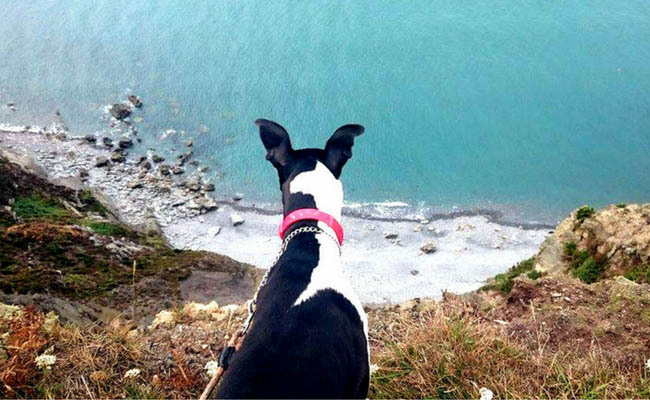 Dogs love a good outing and what better way than walking the out-of-this-world coastline of West Wales? Choose your perfect dog-friendly holiday cottage here. This entry was posted in Places to see and things to do, West Wales walks and tagged carmarthenshire, ceredigion, dog friendly, outdoor activity, pembrokeshire. Bookmark the permalink.